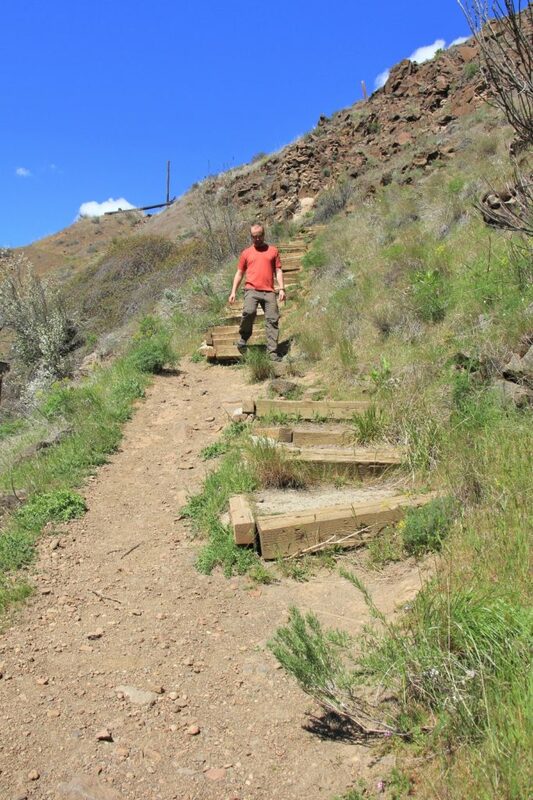 Difficulty: easy distance but the trail down to the powerhouse is fairly steep and rocky. Be careful to watch your footing on the rocks as well as keep an eye out for poison oak and rattlesnakes. Day one of our Oregon spring vacation continued. 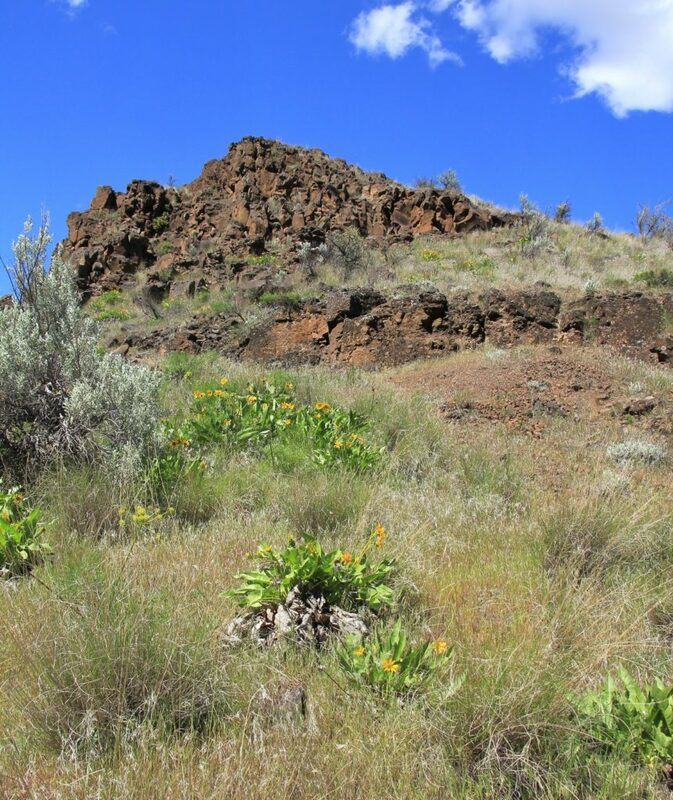 After a short hike and lunch break at Hat Rock State Park along the Columbia River, we continued west along I-84 to The Dalles where we turned south on US-197. 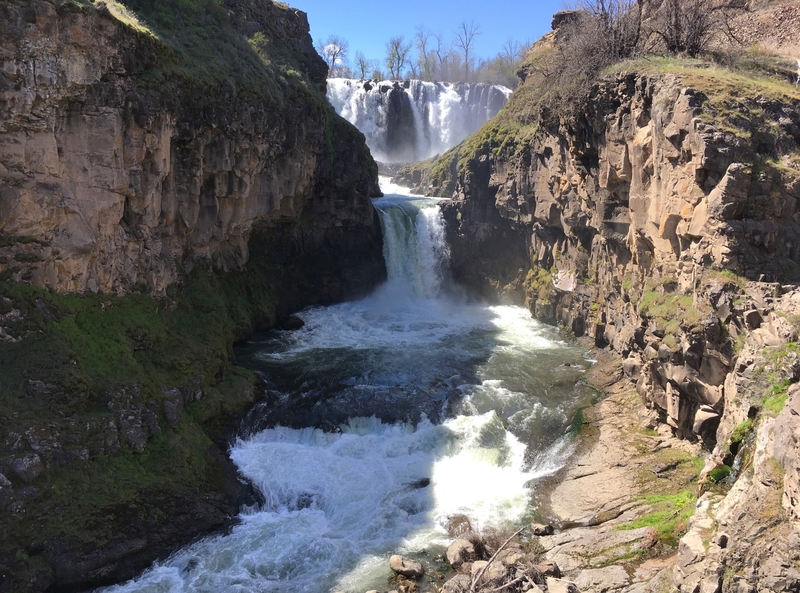 Our next stop on the way to Bend was White River Falls State park, a tiny gem tucked off a quiet highway in central Oregon. I discovered White quite accidentally on Mapquest when I noticed a small green speck near our route. I had never heard of White River Falls, but if they make a state park out of it, there must be something good there. We would not be disappointed. White River Falls State Park is a small park with an impressive waterfall and the remains of a historic hydroelectric plant. 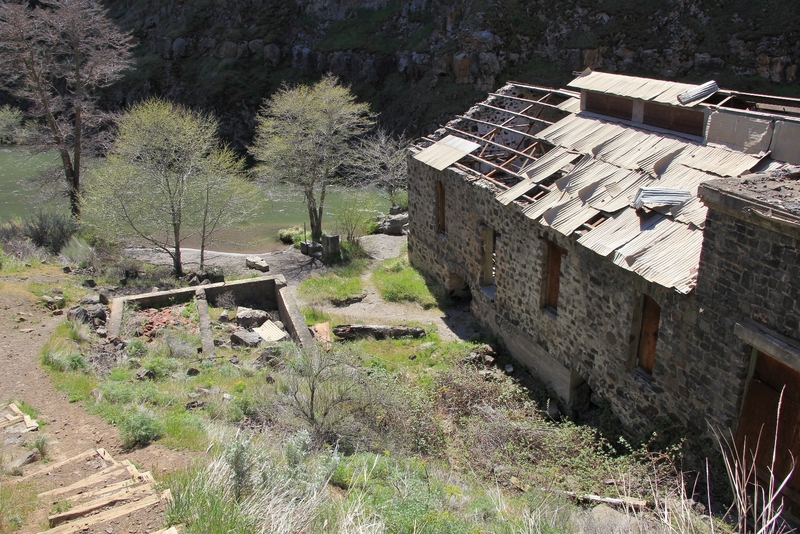 Pacific Power and Light Company acquired the area in the early 1900s and produced electricity for Wasco and Sherman Counties here until 1960 when the massive Dalles Dam was completed along the Columbia River. Pulling into the relatively small parking lot, we found a host, restrooms, picnic area with green grass, an overlook of White River Falls, and a short trail down into the river canyon. We walked to the overlook and stared down at the thundering falls. 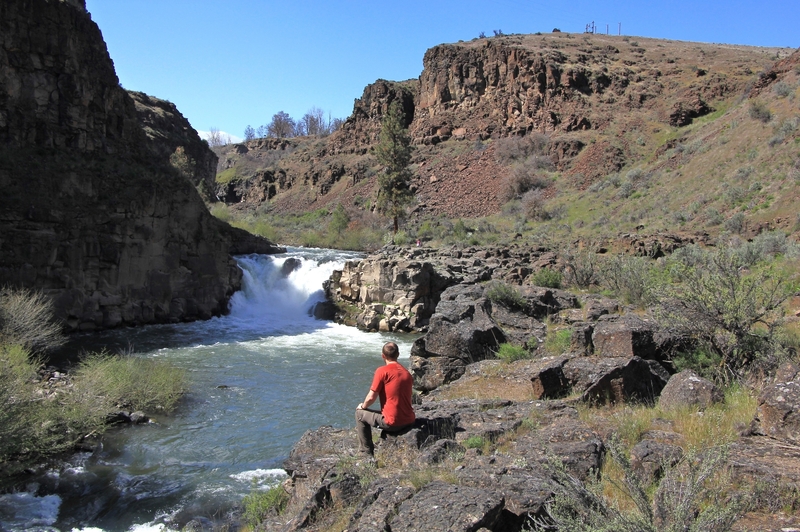 White River, a tributary of the Deschutes, plummets 90′ over a basalt cliff forming an impressive double falls. 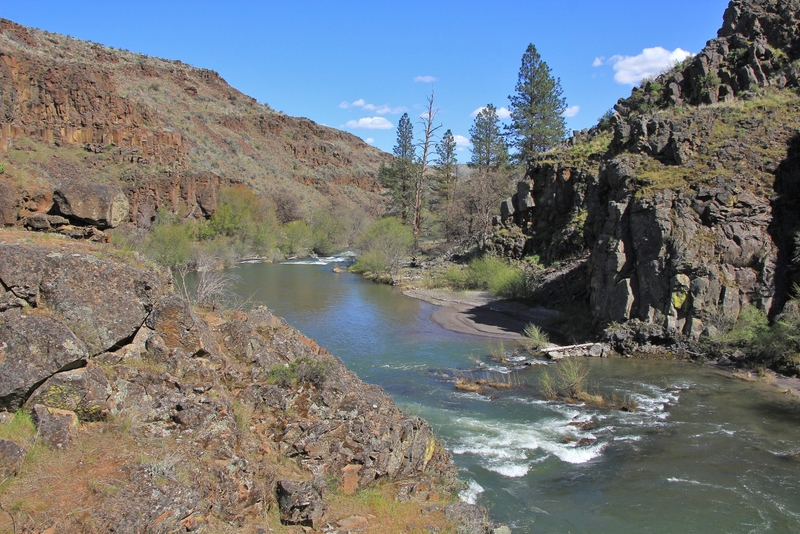 Downstream, steep canyon walls snake into the distance as the river makes its way to the Deschutes. 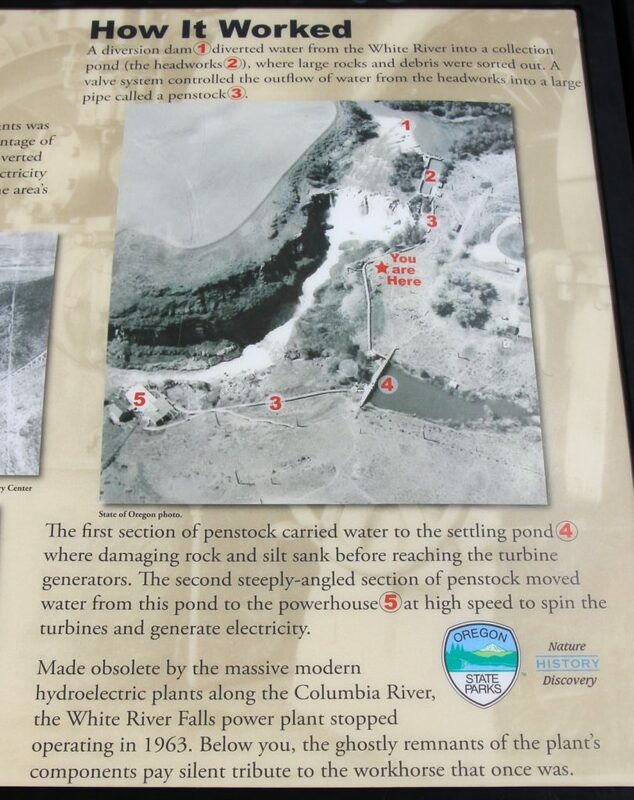 A sign at the falls overlook explains how the dam worked: A diversion dam diverted water from the White River into a collection pond (the headworks), where large rocks and debris were sorted out. 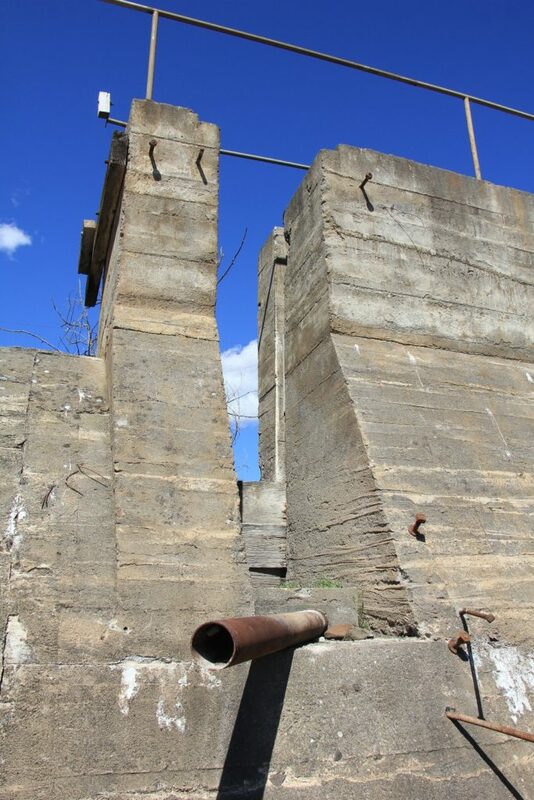 A valve system controlled the outflow of water from the headworks into a large pipe called a penstock. 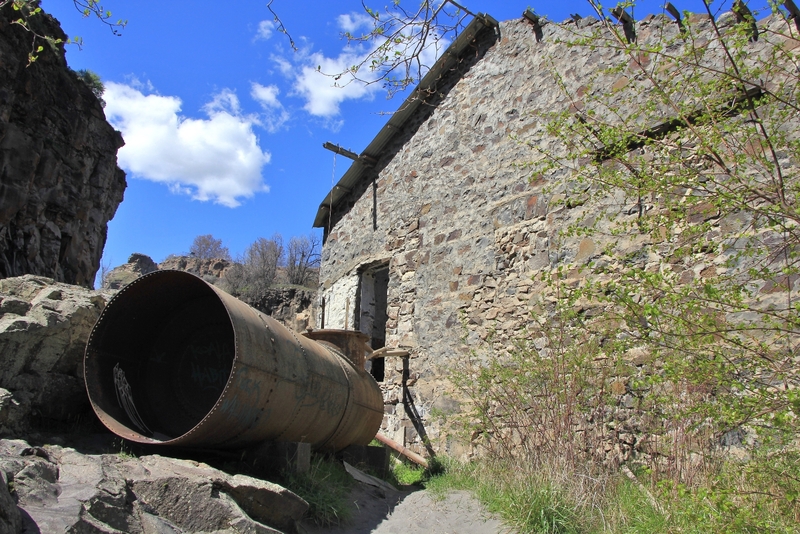 The first section of penstock carried water to the settling pond where damaging rock and silt sank before reaching the turbine generators. 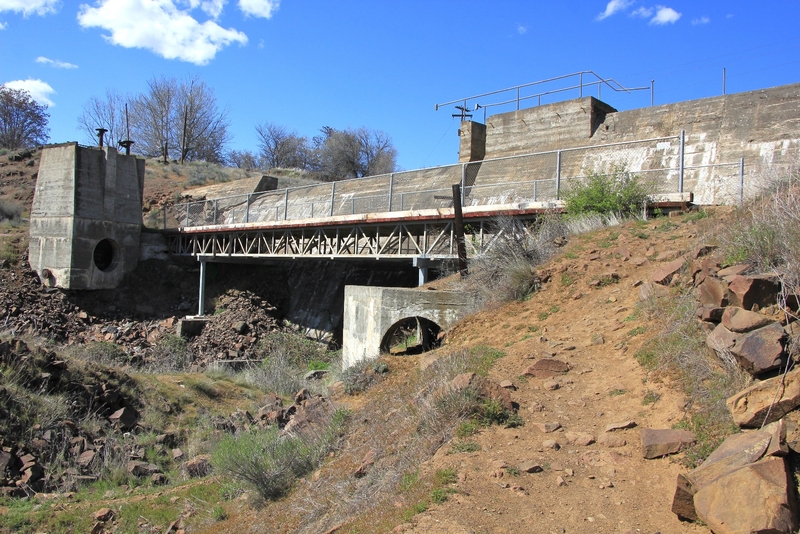 The second steeply-angled section of penstock moved water from this pond to the powerhouse at high speed to spin the turbines and generate electricity. From the overlook, we descended about 200′ in 0.2 miles along a steep and rocky trail to the historic powerhouse at the base of the falls. Along the way we passed a massive concrete wall that held the settling pond. 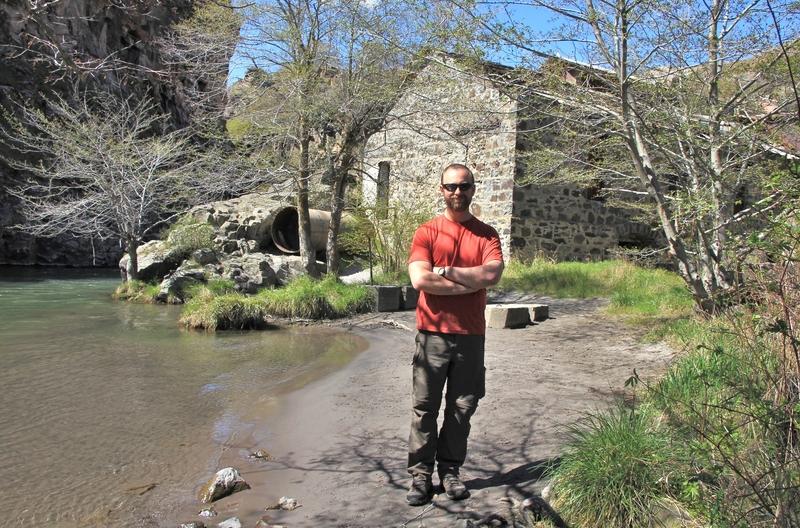 Reaching the river, the powerhouse was fun to explore. The architecture of the building was impressive and the view up at the falls even more so. 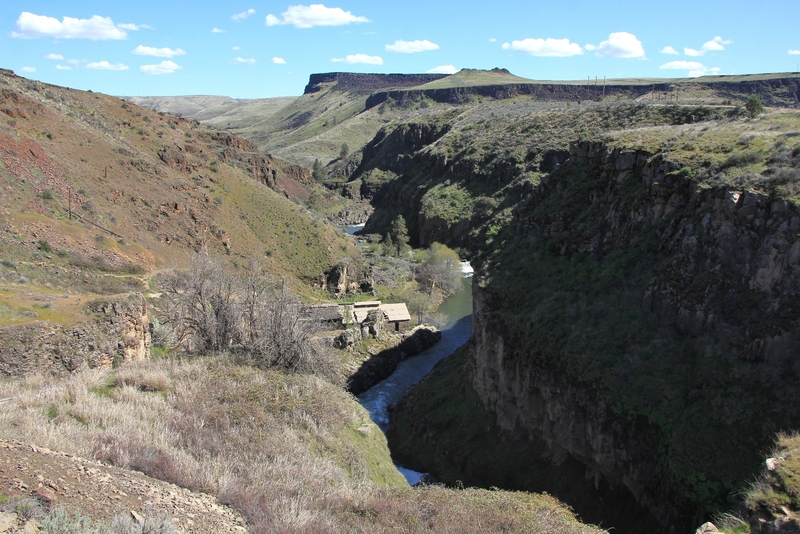 From the powerhouse, we continued downriver enjoying beautiful views of the river canyon, spring wildflowers in bloom, and the lower falls. At about half a mile from the parking lot, the trail began to fade. My understanding is you can bushwhack your way another 1.2 miles to the Deschutes River, but we turned around here. An interesting side note: I noticed that Google maps referred to a Celestial Falls at the park. After a little research, I believe that the upper tier of the falls is named White River and the lower tier Celestial. I found some very impressive photos of a man kayaking the falls during flood stage. The photographer did an impressive job capturing the magnitude and raw force of the falls. Take a second to check the images out, I think you’ll be impressed. 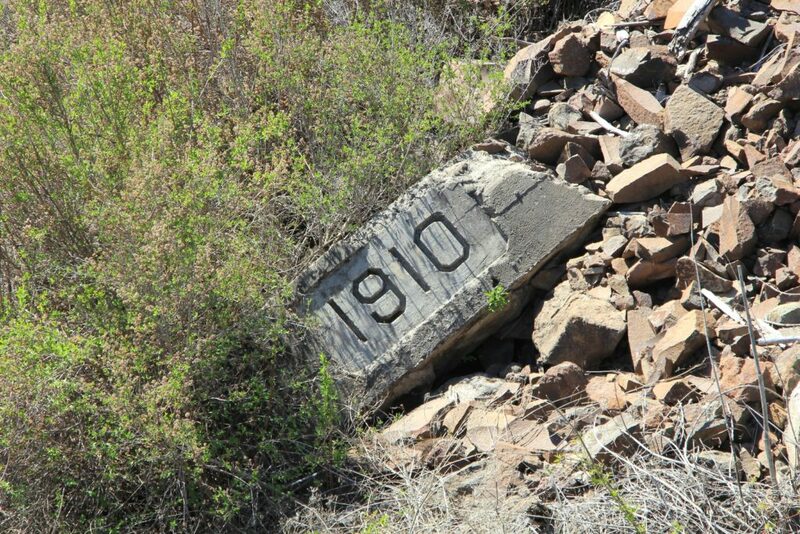 This was a fantastic stop just a short distance off US-197 on the way from The Dalles to Bend, Oregon. I highly recommend driving the four miles out of the way even if you don’t hike down to the powerhouse. The view of the falls from the overlook is well worth the visit. 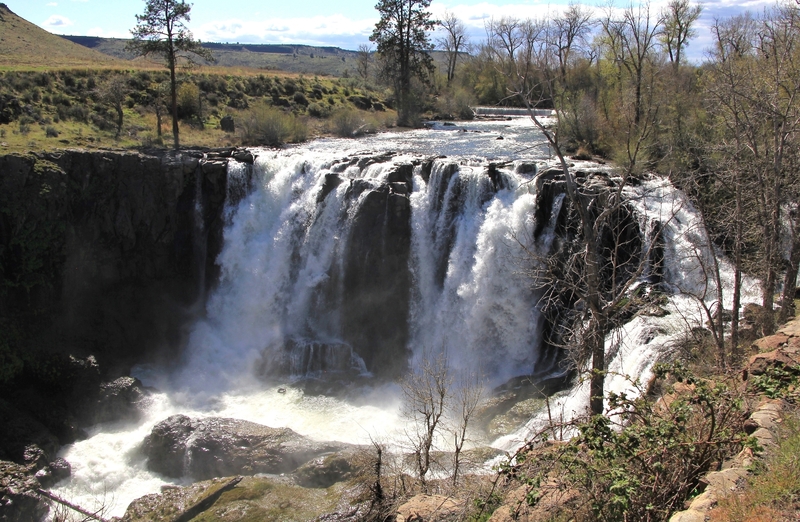 Directions to White River Falls State Park: from The Dalles, Oregon, travel south on US-197 for 34 miles then turn left onto highway 216. 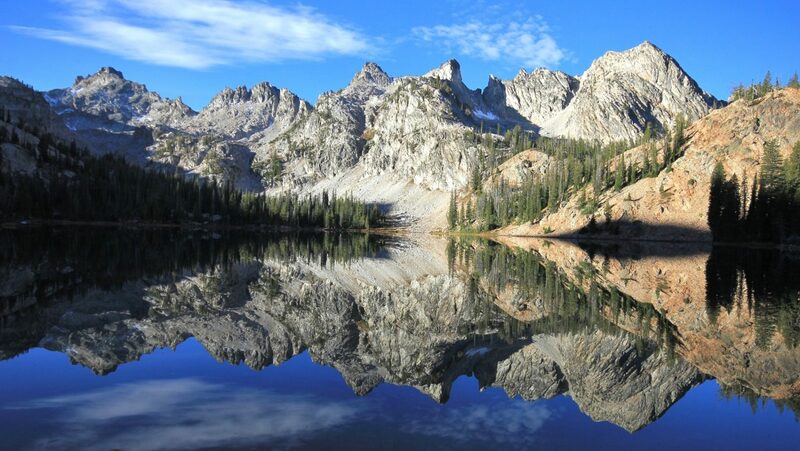 Continue for four miles then turn right and drive a short distance before entering the park.